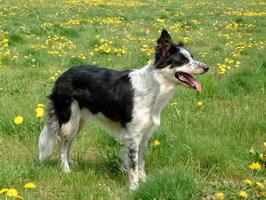 The border collie originally comes from the border region between Scotland and England. Origin and meaning of the word ‘Collie’ is uncertain. 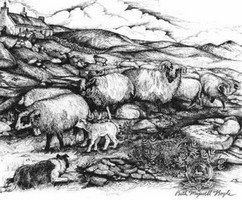 Border Collies are well known for their ability to work and drive flocks of sheep. The dog possesses an inborn talent to overtake a running flock of sheep and to stop them. It looks at the animals in an intense way by staring at them and keeping them under control. This is the so-called ‘eye’. 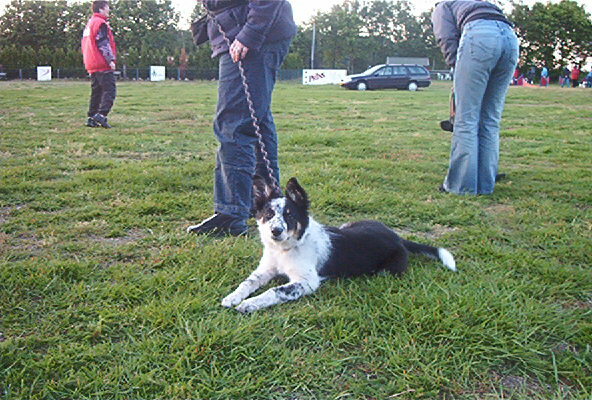 A Border Collie is also very obedient and has got a ‘will to please’. 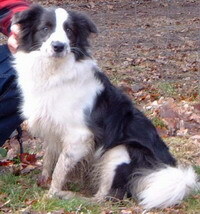 A Border Collie does not become an all-round ‘sheperd’ by itself. There is a inborn talent, but it also takes many hours of training to learn the dog all the commands. So this means training is not just a piece of cake. A border Collie learns easily. This means she also learns wrong things easily, like overtaking other dogs, small children, cyclists or even cars. If the dog does not get the opportunity to overtake it can get bored, resulting in vandalism and incessant barking. Eventually the dog becomes unhappy and even nervous. The Border Collie is no dog for lazy people! General appearance: must be proportional, the silhouette must show quality, elegance, must be in harmony and have enough substance. It should give the impression the animal is able to do its duty carefully during a long time. Every inclination to coarseness or weakness is unwanted. Head and skull: skull is rather broad without an extending knob on the back of the head. Cheeks should not be heavy or having a spherical shape. Its snout should narrows as it approaches the nose. It should be powerful and rather short. Skull and snout are nearly equal in length. 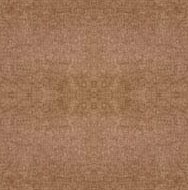 The nose should be black, except in case of a brown dog, than its colour should be brown. Nostrils must be well developed. Stop should clearly visible. Eyes: the eyes must be placed far from each other, almond shape and dark brown, except for blue Merles. One or both of their eyes may be blue. The expression should be soft, lively, alert and expressing sense. 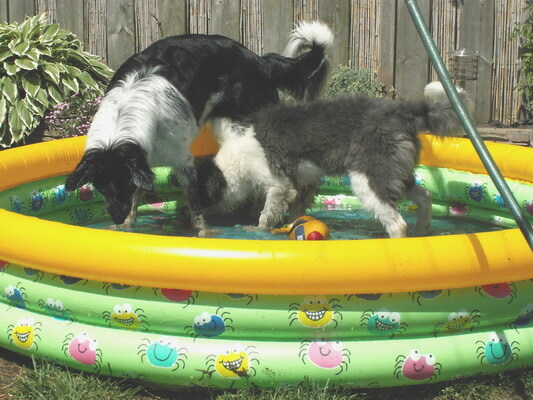 Size: height of withers for male dogs should be about 53 cm. For she dogs a little less.Colour: all shades of colours are allowed, but white should never dominate. Feet: shaped as an oval, strong and thick insoles. Toes should be a bit bended and well joined. Nails should be strong and short. Backhand: should be broad and muscled, its croup should go smoothly to its tail. Its thighs must be long, deep and muscular. Knees should be well bended with powerful jumps, placed lowly. The middle parts of the back feet should posses good bones and seen from the back they must be parallel with each other. Body: athletic appearance, ribs should be bended well, deep and rather big chest. Its back must be broad and strong, with broad muscled loins. The body is a bit longer than the height of the shoulder. Forehand: Seen from the front the forelegs must be parallel with each other. Seen from aside the middle feet are a bit oblique. The bone should be round and firm, but not too heavy. Shoulders should be placed well and the elbows should join well also. Teeth: should be strong and grind completely. The upper incisors must be in front of the teeth below and its teeth must be straight in its jaws.